Unless you’ve been living under a rock lately, you’d know that Adobe has released a major update to all Creative Cloud applications not that long ago, including Premiere Pro CC. In this update, the leading software company aims to have added features that make the editing experience a lot more efficient and stable. From improvements in color management and editing to under-the-hood performance tweaks, Premiere Pro CC 2019 has got you covered. 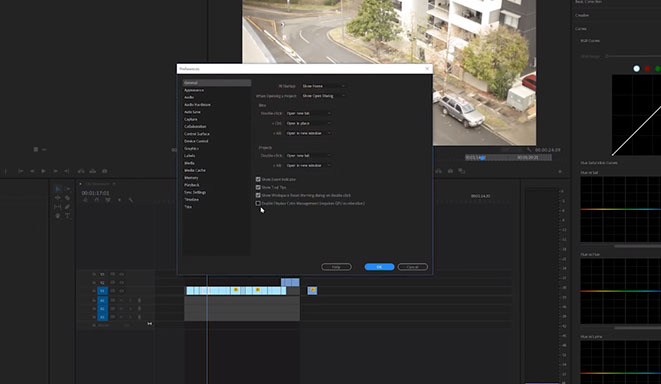 So, if you’re already getting itchy fingers and want to play with some of the newly added features inside Premiere Pro CC, go ahead but first make sure to check out this video by Josh Enobakhare of Olufemii Tutorials that shows off some of the most notable implementations in the platform you don’t want to miss. The first important update outlined in this video is the inclusion of Display Color Management. For those unfamiliar of the concept, this feature helps maintain color accuracy between Premiere Pro and After Effects – a common issue for content creators working with different color spaces inside of Adobe CC ecosystem. To enable this feature, all you have to do is head over to General settings of the latest Premiere Pro CC. Inside the window, tick the checkbox Enable Display Color Management and then click OK.
As mentioned previously, Premiere Pro 2019 also comes with significant improvements in terms of overall performance. This includes better hardware encoding for H.264 and HEVC (H.265) video, specifically when editing on MacBook Pros. Additionally, Adobe has improved editing and playback performance when working with clips that use the Lumetri Color tools. As codec technology advances in cameras, so does Premiere Pro CC with its expanded support for newer camera formats. This includes the recently announced ProRes RAW, ARRI Alexa LF, Sony Venice v2, and HEIF (a codec primarily seen on newer iPhone videos). Another notable update to Premiere Pro CC are the expanded Hue and Saturation curves. Instead of a single curve wheel to control Hue and Saturation, users are now presented with several different curve adjustments, including Hue vs Saturation, Hue vs Hue, Hue vs Luma, and Saturation vs Luma. These advanced color grading tools allow colorists to perfectly fine-tune their shots without having to leave the Lumetri Color panel, thus speeding up their color correction and grading process significantly. 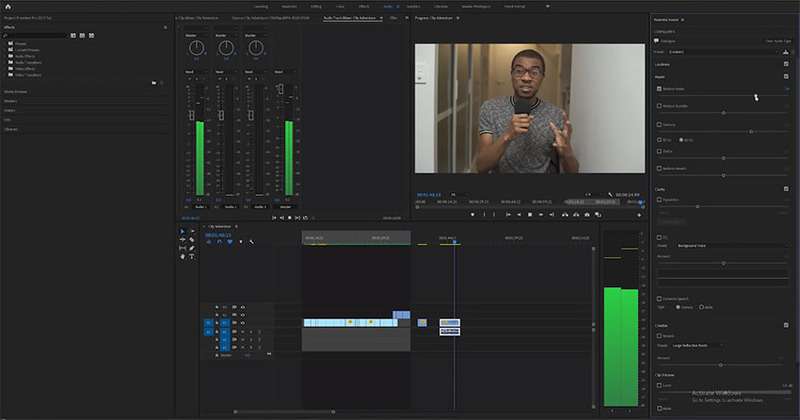 Finally, for those concerned about audio, Premiere Pro CC 2019 now includes Intelligent Audio Cleanup tools to help restore sub-par vocals and dialogue. The feature can be found under the Essential Sound panel via the Dialogue option. The Intelligent Audio Cleanup tools are controlled through the new DeNoiser and DeReverb sliders, which intelligently analyze your audio track and help your actors’ voice sound cleaner and more natural. 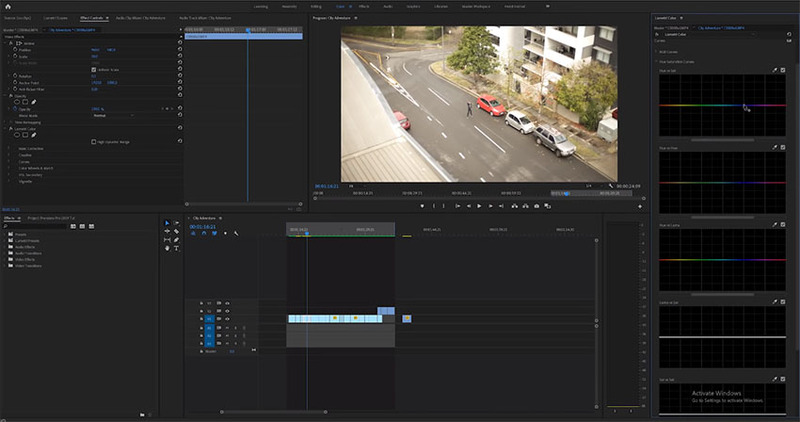 With every update, Adobe continues to elevate the performance and features of Premiere Pro CC in a way that maintains the NLE stance as a leader in post-production editing workflows. Thanks to improved color tools, with much-needed performance and stability updates, the 2019 update is looking to be an excellent step up for Premiere Pro CC users, just in time for the new year.